Christmas is coming and here at Printsome we are ready to celebrate it as its best, honoring one of the most popular seasonal traditions: wearing ugly Christmas jumpers! This holidays we are holding a special contest solely for the purpose of finding the ugliest Christmas sweater out there. We want you to show us the ugliest (or more creative?) 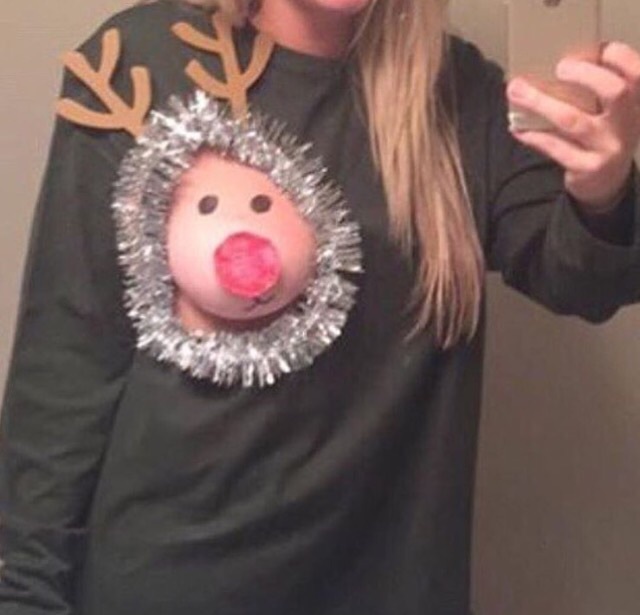 Christmas sweaters you have seen (it doesn’t mind if you don’t own it, but would be awesome if you actually do haha)! The ugliest jumper will be awarded with £100 to spend on awesome personalised tees! Let your creative Christmas spirit go and show the world the ugliest sweater ever! Cameron Latham said: Do I win?